France was once divided into those speakers who said “oc” for yes and those that said “oui”. We know who lost but the people survived. 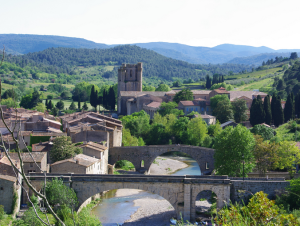 This is still their region – the Languedoc; and they have been living here since they were given these lands by the Romans one thousand five hundred years ago. The Vatican has the list of the names of those who were burnt on March 16th 1244 at Montsegur and those names still fill the Lavelanet telephone directory. Today this land is remembered for where Catharism took hold most successfully and where its uprooting was the most difficult. 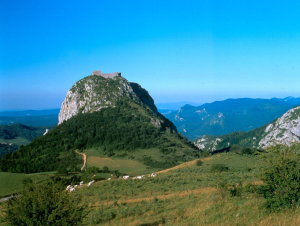 Domaine des Jasses faces the pogue (see left) on the top of which sits the ruined castle of Montségur where the final siege and auto-da-fé took place. We are in the heart of the countryside where the churches emptied and the local folk, instead ,took into their houses these travelling, weaving ‘parfaits’ who would teach them their dualist cosmology. St. Dominic was drafted in to take on the parfaits in public debates. The house where he lived is still standing in Fanjeaux up the road. Originally part of the Roman Empire you can still take their very straight roads in most directions . 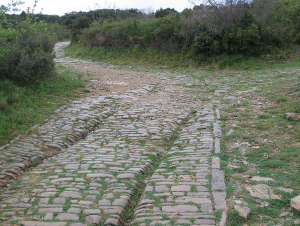 Narbonne was a large Roman port and you can see where the chariot wheels have worn ruts in the cobbles of the via Domitia the oldest Roman road in Gaul. The great fortress of Carassonne is twenty minutes away .Its fairy tale towers and crenelations the fantasy castle of most boys. 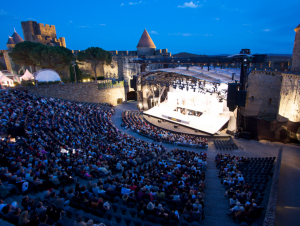 The cite de Carcassonne runs a major cultural festival from July through August. 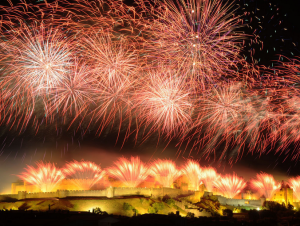 Rock concerts, jousting, fireworks – you name it they do it . 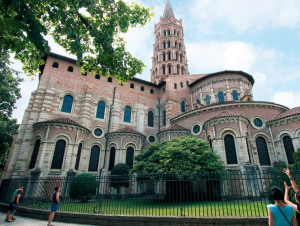 For the more contemplative there are the ancient medieval Abbeys of Frontfroide , Lagrasse, Alet -les -Bains and then in Toulouse the sublime St. Sernin all in pink brick. Albi is not far. There is a Carolingian church by the roadside on the way to Montolieu where there are countless bookshops. 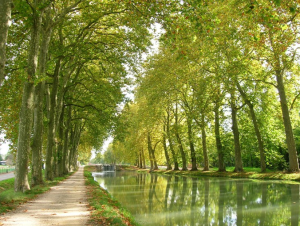 On the way you would cross the Canal du Midi which stretches from the Atlantic to the Mediterranean .Louis XIV had it dug to move his fleet more freely. You can hire boats or cycle the tow path for miles under the shade of the giant Planes. The beaches are less than an hour where you can sail and surf in Gruissan. 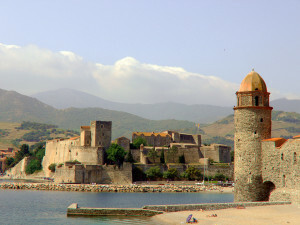 Collioure a little further south is where Matisse and Dérain lived and worked as a young men. 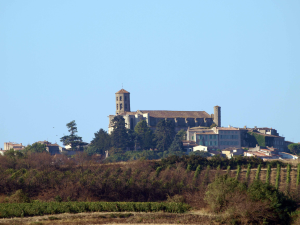 Towards Perpignan the Sigean safari park has -amongst other thrills – lions, rhinos and flamingos. Its situation by the sea is special. Toulouse is a beautiful brick town of great elegance. Thomas Aquinas lies there in a golden casket. There are countless stables nearby where both my daughters learnt show jumping. The retired pony Shaman is in the field outside. In winter the ski slopes in Andorra are a couple of hours drive. 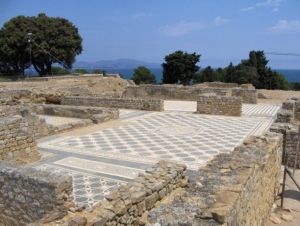 Finally for the classicist there are the ancient ruins of the Greek city of Empourias just over the border in Spain. 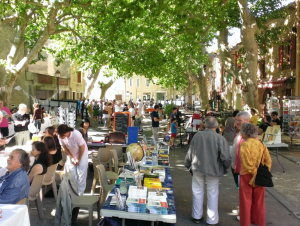 Montreal is the nearest village (7km) with shops, petrol and bakery. 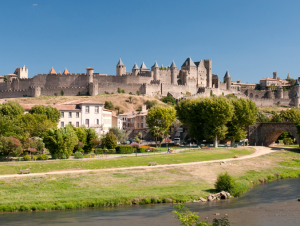 Carcassonne airport is 20 minutes away and Toulouse Blagnac an hour.